A Great Summer Tea – Thai-Style! (makes 1 big pitcher) | Crappy Kitchen - Good Dinners! 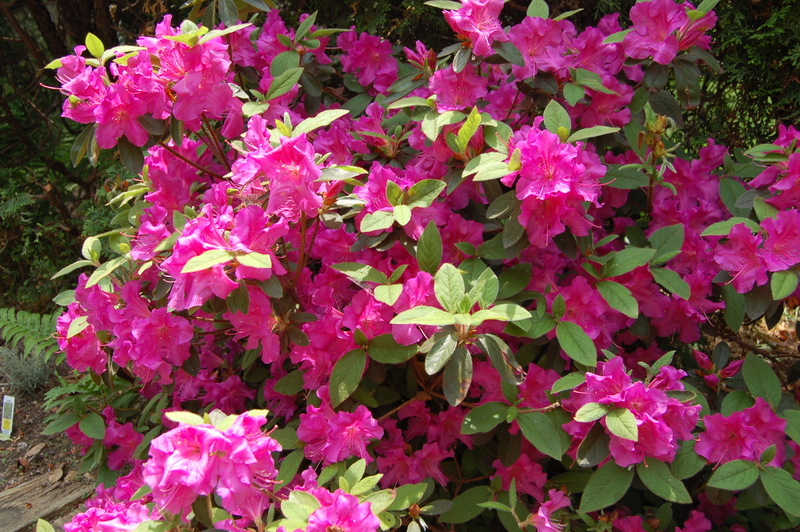 My lovely rhododendron which I planted at the bottom steps of the back door tree years ago is in full bloom! My son was the one who found it and said I just had to make it. We have this new ritual (me and him) which is when any new cooking issue comes to the house I bring it with me when I pick my kids up from school and leave it on his seat as a little treat for him. As much as I want to, I don’t even take the plastic off and have a sneak-peek. He really appreciates having the privilege of ripping it open and getting to see what foods are being highlighted that month or season. But what he really loves is telling me what I have to cook, and if I hum and haw about it, he reads the ingredients to show me how quick and easy it will be. I’m afraid he is mostly a sucker for the colorful juicy pictures of finished dishes, and the picture of a giant glass filled with ice and a creamy pale orange iced-tea with the word “Thai” in the title was no exception. First of all, if the dish smacks of Asian flavors whatsoever it will always be demanded, not to mention he is going through a black tea phase, (my fault, as Barry’s Tea, the tea I drank growing up in Ireland is always being pulled out and brewed to have with a piece of cake or a biscuit (cookie)). How could I refuse! 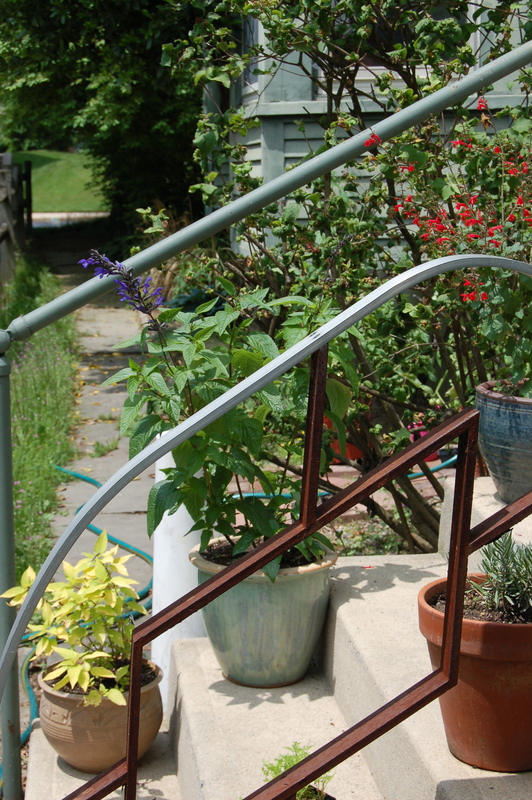 The back steps to my little yard. I have to say that I am glad to have kids that push me to try things I would normally not bother with, like this glorious Thai-Style Iced Tea. It is a bit of work, a tad expensive (requires a vanilla bean which cost me $6) and it needs time to chill, but it was so good it is what I am taking to my friend’s house for Brunch this weekend! 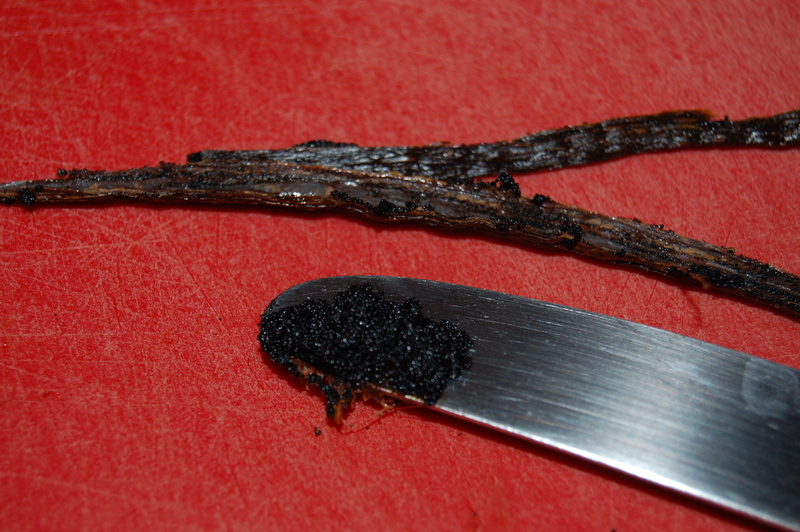 1 – Scrape the seeds from vanilla bean like so: using a sharp knife cut vanilla bean down the enter length of pod. Hold one end with finger and scrape the inside of the pod with a knife, running it down the entire pod. The seeds will collect on the knife as you go. 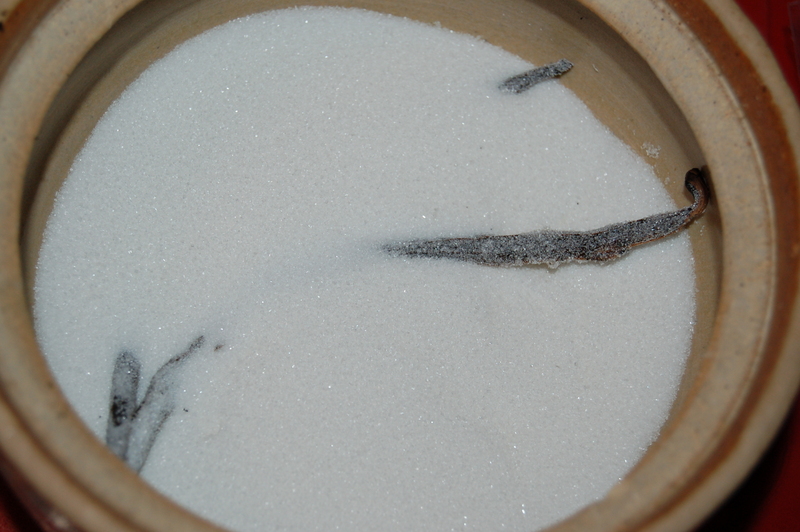 (Don’t throw away the scraped pods as you can make vanilla sugar with it – see picture below!). Place the scraped vanilla bean pod in a bowl of fine sugar and it will infuse with lovely vanilla-y flavor. Perfect for sprinkling on toasted buttered bread or fresh berries like strawberries for a quick summer dessert. 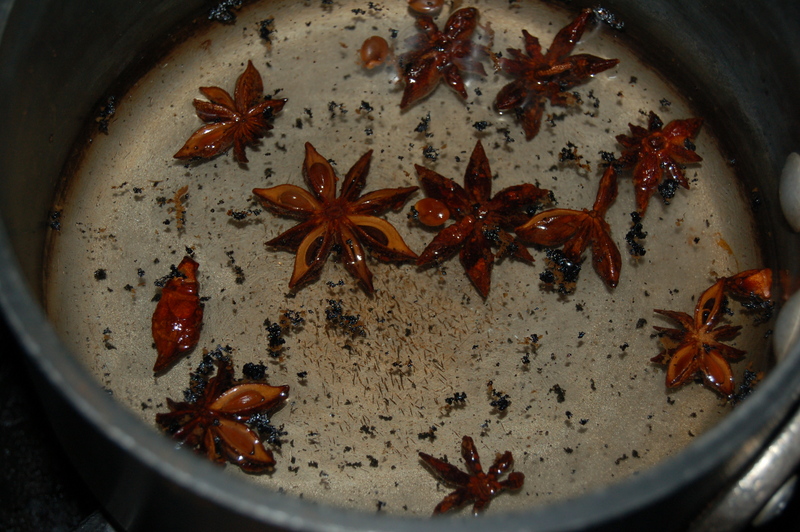 2 – Combine 1 cup of water with sugar, star anise and the vanilla bean seeds in a small pot and bring to a boil. When it begins to boil, turn the heat down and simmer gently for 10 minutes. 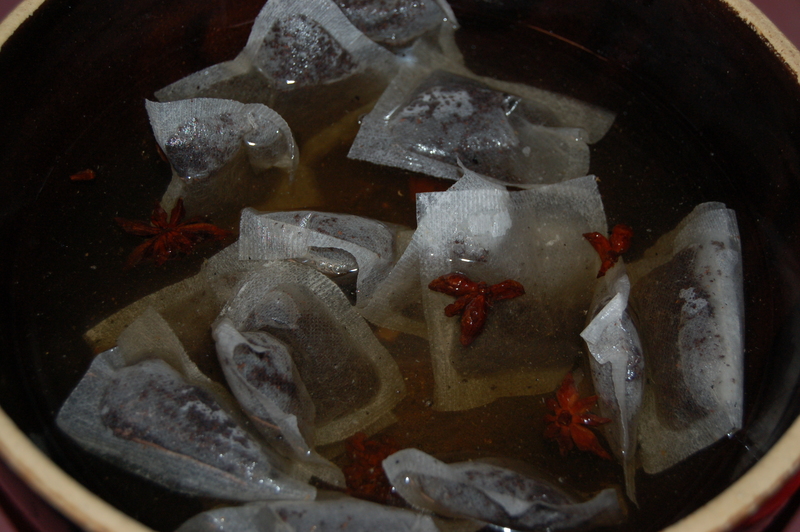 3 – Combine the tea bags with the 7 remaining cups of water in a large pitcher or bowl and add the cooked water mixture to it when it is done simmering. Place in the fridge and chill for 4 hours. 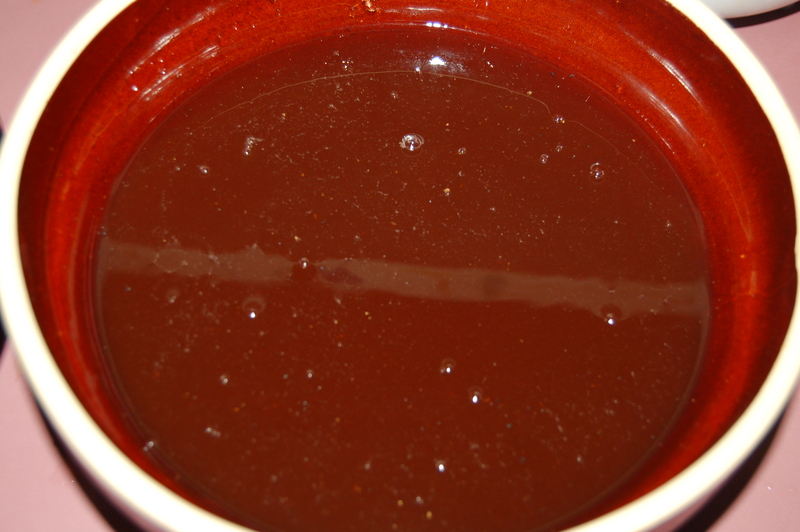 5 – Strain the mixture using a sieve into another pitcher and add the cream and condensed milk. Stir everything together. Serve over ice, or as is if you want it to be more intense. Can be stored in the fridge for up to 4 days. 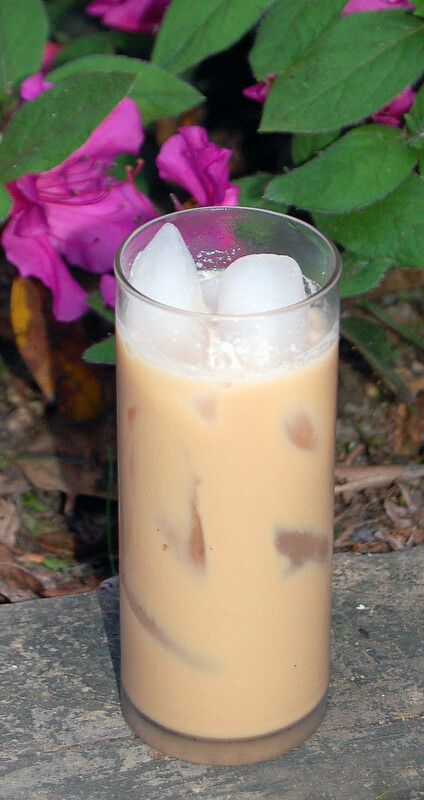 Serve over ice – yum! 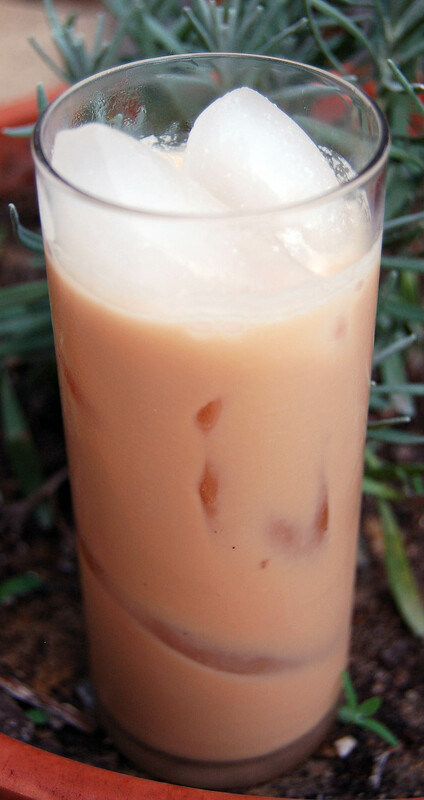 This entry was posted in Ireland, Stuff I like, Sweet Stuff and tagged asian flavors, barry's tea, black tea, bon apetite, bon appetite magazine, cold drink, cooking magazine, ice tea, iced tea, rhododendron, star anise, summer drink, summer tea, tea, Thai iced tea, thai style iced tea, thai tea, vanilla bean. Bookmark the permalink.